This is a pretty strange topic for this week because I don't typically discuss handhelds but this dives into a much deeper rabbit hole that is affecting the entire video game industry. It's better to approach the subject rather than leave it in the dark. So let's take a look shall we? 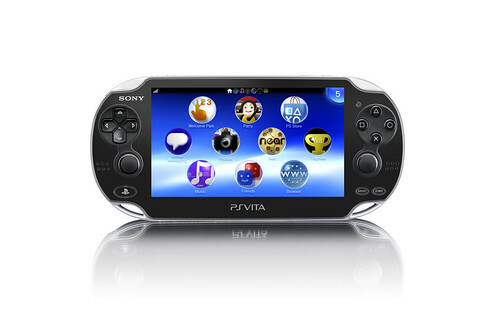 The PS Vita launched back in February of this year and it has only managed to generate 3million sales worldwide. That's abysmal. For comparison, the 3DS topped over 19million sales a few months ago. The Vita itself is quite literally the most powerful handheld device currently available (even outside of video game handhelds) and by a long shot. It supports cross-platform play with your PS3 so you can play a game at home and then bring it with you on the go, it has front and rear touch screens as well as motion controls for interesting game mechanics (such as in Gravity Rush), and it even remembered to bring dual-analog sticks (which is something Nintendo forgot and is attempting to tack on late as an add-on) which allows for certain genres to be played on a handheld that normally wouldn't exist. It seems to do a lot of things right and yet it does one absolutely major thing wrong: games. There are barely any games at all but you see, it isn't quite as simple as just "go make more games". That seems to be the suggestion around the internet except if it were that simple, it would have already been taken care of right? The actual problem is that the video game industry has to make these games for a handheld that isn't selling well which in turn makes them think, "I'm not going to make any kind of profit on this investment." At the end of the day, video games are still a business. If a company doesn't think it's worth taking the time and money to make a game for a handheld that's only in front of 3 million users (which means their target demographic is even smaller than that number) then they just simply aren't going to do it. I know this sounds crazy because this becomes an almost unsolvable dilemma on the surface but that's the current conundrum the Vita faces. From the consumer's perspective: The Vita isn't selling because it doesn't have many games. From the industry's perspective: The Vita isn't selling so they aren't going to make any games. There are actually solutions but most of them involve multiple companies taking insane risks in the hopes that something will change. Something that Sony recently announced may actually be a brilliant maneuver to start cutting into this problem. They're beginning what they call their Cross-Buy program. Basically, buying the PS3 version of a game means it will come with the Vita game for no additional cost. The games that will start this trend off: Playstation All-Stars Battle Royale, Sly Cooper: Thieves in Time (aka Sly 4), and Ratchet & Clank: Full Frontal Assault. It's a huge incentive to buy a handheld if multiple games are giving you the Vita copies for free. This won't fix the main issue by itself but it's a good start. What are your thoughts on all of this? This is Kylak signing out and waiting to see how this plays out.